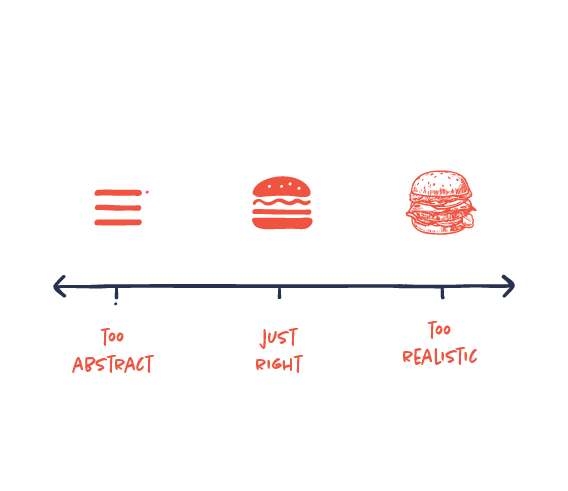 Hard-earned lessons from our notebook about information design and infographics. Hands-on, honest and condensed. Your visuals should be concise and easy to understand. You also want your visuals to be appealing, interesting and able to evoke emotions. Appeal and clarity are not contradictive. But sometimes more clarity can lead to less appeal and vice versa. It is your job to balance the two in order to make truly appealing and concise visual communication. Visual communication is not a universal language. Cultural differences in interpretation are more prevalent than you would think. What symbolizes freedom in Europe or how a family home is illustrated might not be the same in Asia. We need to pay careful attention to all of these subtle differences in different cultures and different target audiences. An illustration can easily be too complex or realistic for communicating a message concisely. On the other hand, it can also be too simple and abstract to understand. Cristoph Niemann introduced The Abstract-O-Meter as a scale to demonstrate how illustrations need to have this perfect balance, in which there’s just the right amount of information to be perceived effectively. Decoding an icon should not be a challenge for the reader. If you want the reader to recognize easily what your icon or illustration represents, follow the conventions and common comprehension. Design a wheel everyone immediately recognizes as a wheel.